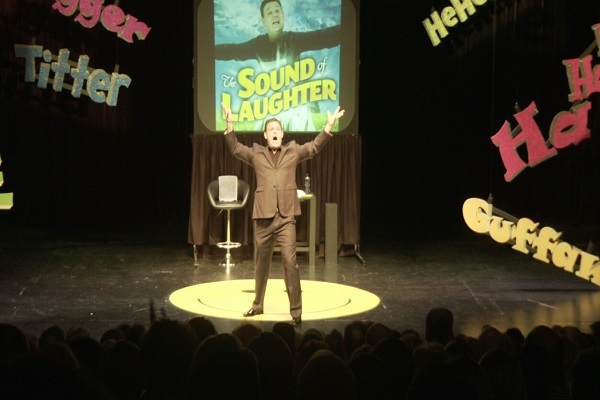 This Wednesday Theatre on the Bay will once again be home to Alan Committie’s hit comedy The Sound of Laughter. With our big opening night party approaching on Friday night we thought we would give you 10 reasons why you should come to the show and hear the sound of YOUR laughter! 3. Mister Committie will listen to your points & comments….and then make fun of them! 4. You can be part of the show by tweeting and hashtaging – Alan might read your tweet on stage! 5. There will be a very important announcement by Johan van der Walt on behalf of Eskom. 6. Alan gives his very in-depth, very impressive review of our production of The Sound of Music! 7. Witness the comedian attempt a very dangerous aerial silk act! 8. and make funny faces while doing so…. 9. ITS ALAN FREAKING COMMITTIE!!!!! 10. As always dear theatre-goers GET SOME CULTURE and go to the theatre! 10 reasons to hear the sound of YOUR laughter!